Local council services have been battered by austerity. The money councils receive from central government has been cut drastically year-on-year since the Tory-led coalition came to power in 2010. Almost half of councils - 168 - will receive no such funding this year. Even some Conservatives have warned of the consequences. The chair of the Local Government Association, Tory lord Guy Porter, said: "Even if councils stopped filling in potholes maintaining parks and open spaces, closed all children's centres, libraries, museums, leisure centres, turned off every street light and shut all discretionary bus routes, they still would not have saved enough money to plug this gap by 2020." Despite these protestations though, councils of all political stripes have dutifully passed on the cuts to local people. The results have been devastating. One in six women's refuges have closed, leading to 1,000 women and children fleeing domestic abuse being turned away in just six months last year. Hundreds of libraries have been shut in the last decade. Real-terms spending per person on roads and transport has been slashed by 40%. For housing the figure is a massive 48%. Even statutory services, which are those the council are legally required to provide, have not escaped the axe. Adult social care spending has been cut by 10%, meaning that a record one in seven older people now have care needs that are not being met. Between 2010 and 2015 alone more than half a million council workers lost their jobs. Average figures mask the fact that the cuts have fallen far harder on the poorest areas which have the most need. These are far more likely to be represented by Labour councils. Yet, without exception, they have been complicit in carrying out Tory cuts. The funding crisis is so severe that it threatens the existence of local government as we know it. Tory-controlled Northamptonshire council has essentially been bankrupted and was ordered to stop all non-statutory spending. Others could be forced down the same road. There is a desperate need for the cuts to be reversed and council funding restored. However, the constant refrain from Labour councillors that we need to wait for a Labour government is used as a cover for their own inaction. We cannot wait, the human cost of the cuts is too great. Council cuts must be fought in the here and now. Up and down the country, people have fought valiant campaigns to save council jobs and services. For example, in Bristol mass pressure has saved council tax discounts for 25,000 of the city's poorest households. Meanwhile plans to close libraries have been repeatedly thwarted. In Birmingham, bin workers in Unite and home care workers in Unison have repeatedly had to take strike action. 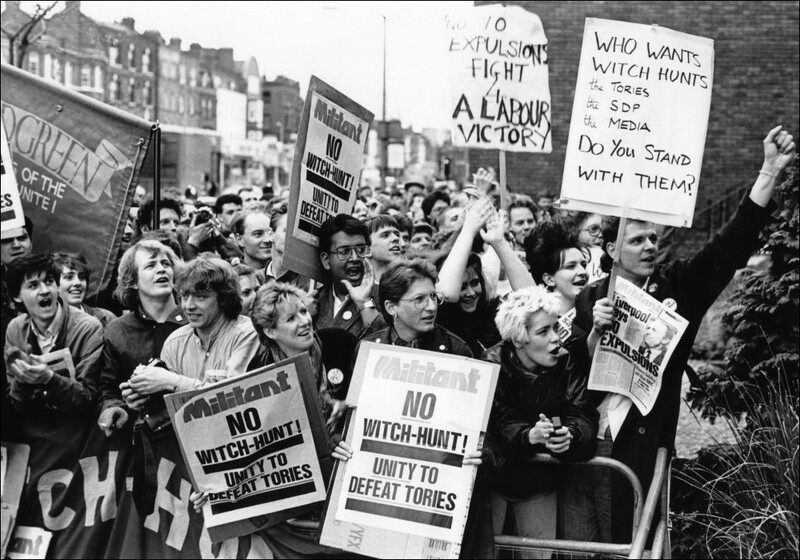 These were against job cuts, 'blacklisting' and changes to working conditions resulting in huge loss of pay being proposed by the vicious Blairite council. Campaigners have a right to ask why they are having to fight these battles against their local councils, rather than with their support. This is particularly true of Labour with its anti-austerity national leadership. Councils are not powerless in the face of this onslaught. Mass struggles are the key to defeating austerity. The working class has won nothing in the past without fighting for it. The opposition we face has rarely been weaker. May's minority government hangs by a thread, paralysed by internal division on Brexit. 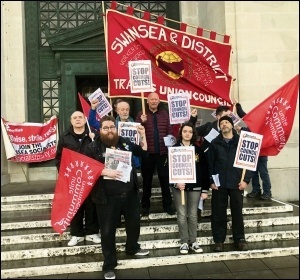 Isolated local victories in defence of services can be turned in to a far bigger reversal of cuts if campaigns are linked up in a coordinated series of protests and strikes. A small glimpse of the potential for councils to help lead such a struggle was shown in Bristol in 2017 when over 6,000 joined an anti-cuts demonstration led by Labour Mayor Marvin Rees. However, his administration had already announced it was to continue cutting, undermining people's faith that he was serious about opposing austerity. Protests should not be an empty gesture but should be linked to a serious strategy to protect jobs and services. The Socialist Party has consistently put forward such a strategy. It begins with a clear refusal to implement the cuts. We stand in the tradition of the Liverpool Labour council of the 1980s. 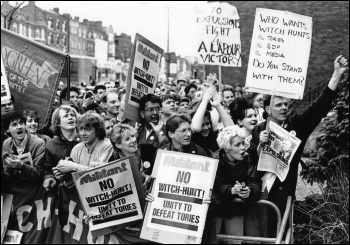 They rejected the Thatcher government's plans for 'managed decline' of the city, refused to implement budgets which did not meet the needs of Liverpudlians and instead mobilised demonstrations and strikes involving tens of thousands. They were able to win back millions in stolen funding and use it to tear down crumbling tenement blocks and replace them with thousands of good quality council homes. Jobs and proper apprenticeships were created and council services like nurseries were improved, this is in stark contrast to the record of current Labour councils. The political lead for that struggle was given by Militant, the forerunner of the Socialist Party. Today councils have a legal requirement to pass balanced budgets, where all spending is covered. Councillors repeatedly cite this as justification for carrying out cuts. They falsely claim that any no-cuts budget would be illegal and would result in elected councils being removed, with the government appointing officers to run local authorities instead. Even if this were true, council leaders should explain why they think their jobs are more important than those of the thousands of people they have made redundant. If vicious cuts continue either way then it makes little difference who is in charge. By cutting, councils are delivering a double whammy for the Tory government, who get what they want and get Labour to share the blame too. This undermines Corbyn's popular anti-austerity message and his chances of becoming the next prime minister. The Militant-led Liverpool council used the slogan "It's better to break the law than to break the poor", echoing the struggle of Poplar Council in East London in 1921. However, it is not necessary to break the law today. No-cuts budgets can be entirely legal. Councils hold large reserves of money which can be used to fill the gap left by lost government funding. This means budgets can be legally balanced without the need for cuts. They also have the powers to supplement this by borrowing money cheaply if required. This would be a short-term measure but would protect jobs and services while buying time for a powerful anti-cuts campaign to be built up. Opponents accuse us of wanting to fritter away the money councils have saved for a rainy day. But the devastation of vital services unleashed by austerity constitutes a crisis and requires a response. In fact, most councils have been forced to dip into reserves anyway as they struggle to find the level of cuts being asked of them. That approach cannot last forever, reserves will be depleted without any means of replacing them, simply storing up more cuts for the future. It is far better that reserves be used as part of a coherent anti-cuts plan of action. Mass struggles can win back the necessary funding for councils. There is no accounting trickery alone that can avoid the need to mobilise people and take the fight to the government. Research from the Trade Unionist and Socialist Coalition shows the enormous wherewithal that councils have to protect services, if they had the political will to fight. Between them, the 125 Labour-led councils in England, Scotland and Wales hold around £9.3 billion in general fund reserves and £4.9 billion in other useable reserves. Their combined spending power of nearly £80 billion is greater than the GDP of nine EU countries! They should be using this clout to become bastions of opposition to Tory rule, not to meekly carry out austerity measures. Every single Labour council had sufficient reserves to fund a no-cuts budget this year. There is nothing to stop them pooling reserves in a solidarity fund and linking up their struggles to be as effective as possible. Simply put, councils do have a choice. We need councillors who will choose to fight, not choose to cut. 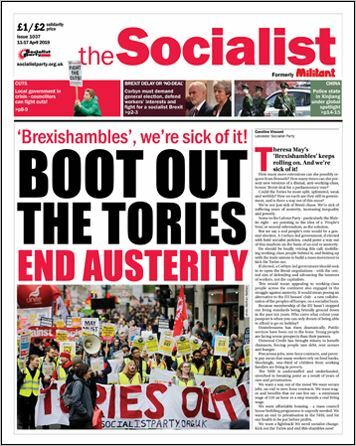 That's why the Socialist Party will be putting up candidates in the local elections on 2 May - on the ballot paper as Socialist Alternative. Our members campaign all year round to defend local services and we will be looking to take that approach into council chambers. If elected, our candidates will take only an average workers' wage to ensure they stay in touch with their working-class constituents. This is in direct contrast to mayoral wages which can go as high as £80k a year, protecting politicians from the impact of their own decisions and leaving them out of touch. By raising a clear, anti-cuts strategy we can help give confidence to left Labour candidates to stand against the tide and to oppose cuts in deeds as well as words. Our stand can also give strength to local campaigners, fighting tooth and nail to protect their services. The Socialist Party has actively supported such campaigns and will carry on fighting during and after the elections. We don't just want your votes. If you want councillors who are willing to put their money where their mouth is and fight the cuts, then get in touch and help us campaign.